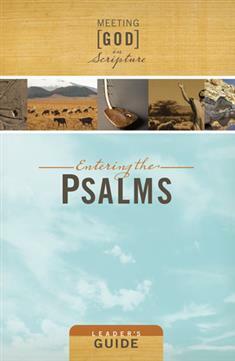 Entering the Psalms Participant's Book is available for small group members. A 6-week study opens the door to experience the Psalms in a new way! This leader's guide includes a process and resources for an introductory meeting and 6 weekly meetings of either 45 or 90 minutes. The longer format includes group lectio divina (contemplation of and individual response to scripture) in each session.